Is CBD safe for pregnant women to consumer? For many women, pregnancy is just a long list of do’s, don’ts, how abouts, and what ifs. On top of that, there are uncomfortable symptoms like nausea, chronic pain, migraines, anxiety, and depression. While medical marijuana may sound like a great relief to these symptoms normally, all bets are off when it comes to pregnancy and breastfeeding. Since cannabinoids like CBD can be beneficial in healthy, non-pregnant adults, it’s no surprise that expecting mothers would be interested in the relieving benefits of CBD. But, is it safe? Most studies on the effect of marijuana on pregnancy have focused in on the psychoactive properties of THC. THC exposure in utero has been shown to have adverse effects on birth weight, and increase the risk of babies being admitted to the Neonatal Intensive Care Unit at birth. And while earlier this month, a review on THC in pregnant women concluded that more information is needed before a conclusion on the safety of THC can be made, it is still currently generally acknowledged by medical professionals (and many marijuana enthusiasts) that staying away from THC-products during pregnancy and while breastfeeding is the best option. On the other side, studies that investigate CBD consumption are practically non-existent. There is one study to suggest that exposure to CBD may reduce uterine contractions. But two separate 2013 studies found evidence that CBD may cross the placental barrier, compromising the fetus. So, even though CBD has been found favorable and safe in healthy adults, when it comes to research on CBD during pregnancy, safety studies are severely lacking. While there is a severe lack of conclusive data determining the effects of CBD oil on a fetus, there are some known factors to begin with. A fetus has an endocannabinoid system at just two cells growth. (Remember, endocannabinoids are the neurotransmitters that bind to cannabinoid receptors.) A study of embryonic mice showed that THC inhibited development with embryos at less than eight cells. It also found that anandamide, a cannabinoid that occurs naturally in the human body, can stop the embryos from developing. CBD has been found to increase levels of anandamide, and therefore can possibly have negative effects during pregnancy. *Note: While there is debate on whether the study of mice is transferable to human subjects, this is the best research we have to indicate the possible side effects of CBD in fetal development. It’s safe to say that smoking traditional marijuana during pregnancy is ill-advised at best, but generally considered to be down-right dangerous to the fetus in general. Ingesting smoke of any kind during pregnancy has known issues in fetal development. So, if you do decide to consume during pregnancy, what should you use and how should you consume it? Even CBD-dominant strains will have traces of THC. THC is known to have harmful effects on a developing fetus and should not be consumed during pregnancy or while breastfeeding. 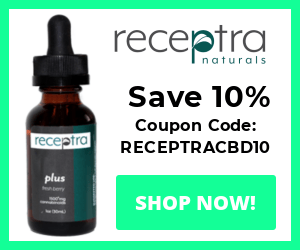 Find a reputable CBD naturally sourced from hemp to avoid any trace amounts of THC altogether. With the increased popularity of vaping, many women find that as a great alternative to smoking. But some experts say there is not enough research into vaping to confirm or deny that claim. Some find that consuming edibles that are rich in CBD help to avoid smoking/vaping altogether. However, with prepackaged product, you know very little as to how the CBD is sourced, what the dosage is, and what other potentially harmful products are included. After taking all this into account, it seems the safest consumption method is a hemp-sourced CBD oil. Oil can be used in tinctures, as ingredients in homemade edibles, or added to your favorite lotions or salves as a form of pain relief. At MedicalMarijuana.com, we always advise you to speak with your doctor before consuming any medically-related products. While the jury is out on the safety and efficacy of CBD oil consumption during pregnancy, getting advice from your specialized pregnancy care provider is ALWAYS the best option. What is your take on CBD during pregnancy? Let us know on Facebook or at @mmdotcom.